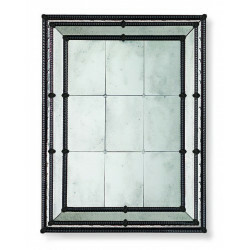 Paneled Murano glass mirror effect with a stunning and frame design with thick black borders glass paneling and hints of black accents. 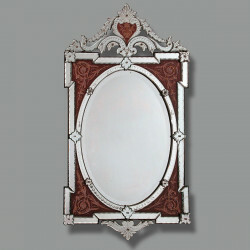 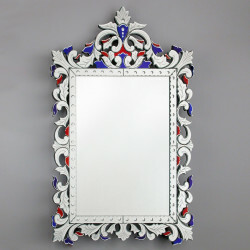 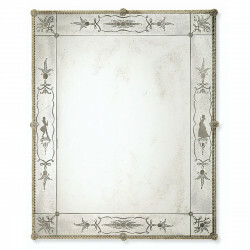 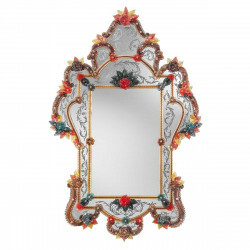 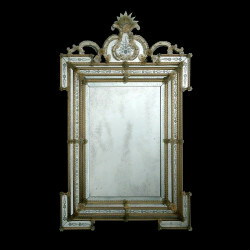 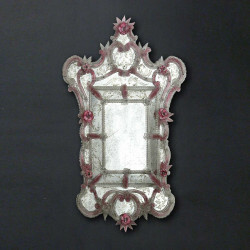 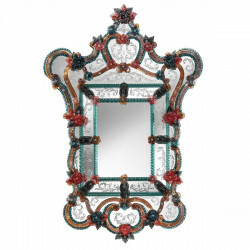 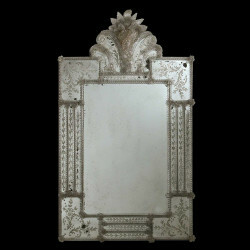 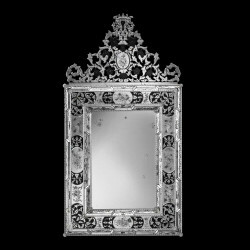 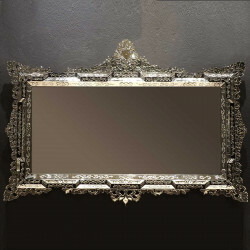 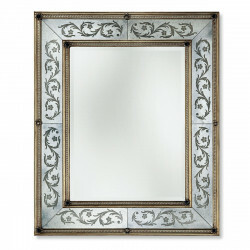 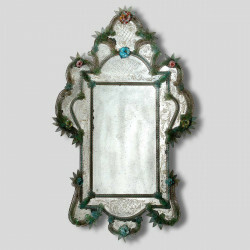 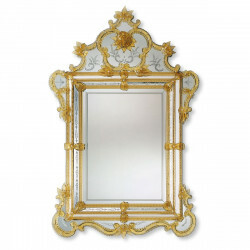 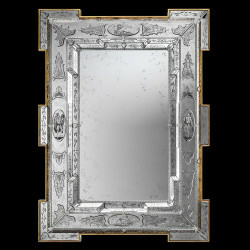 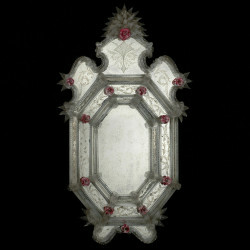 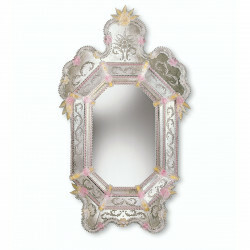 A delightful piece with an unexpected twist, this true Venetian mirror is appealing with the lovely paneling technique on the actual mirror secured by clear glass details. 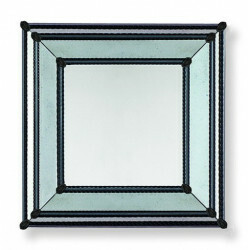 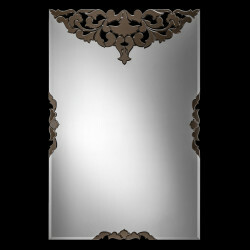 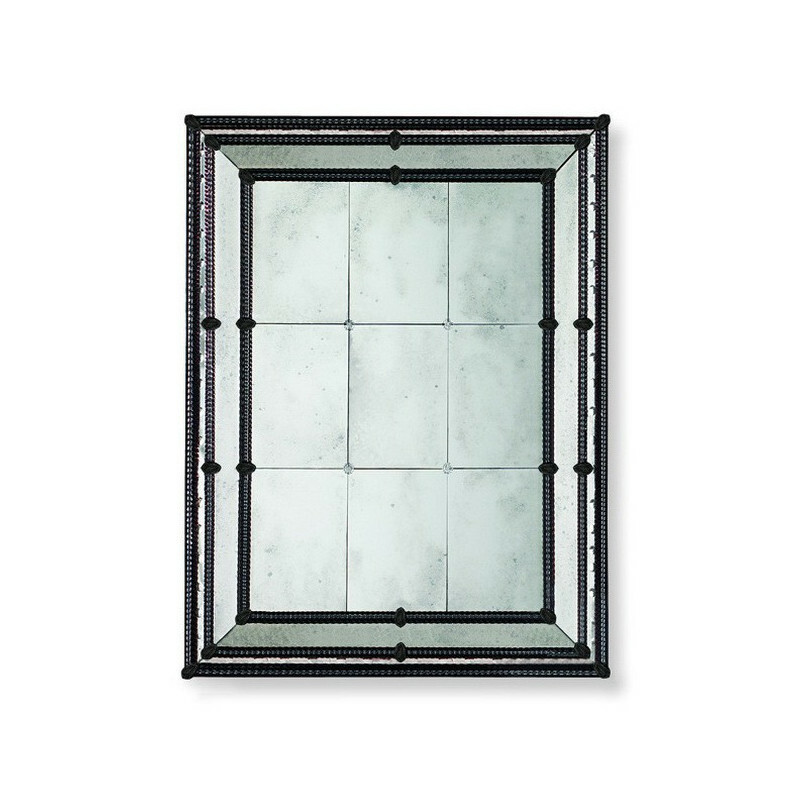 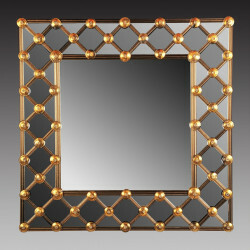 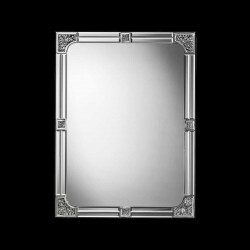 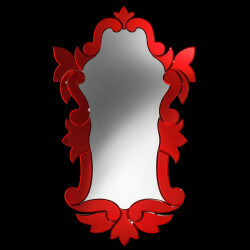 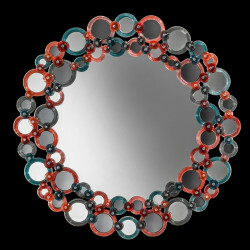 More decorative than functional, this mirror looks bold with the thick black borders that line up the panels to perfection. 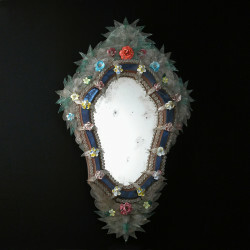 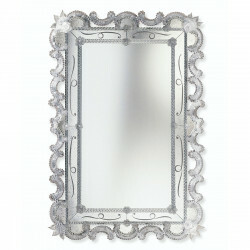 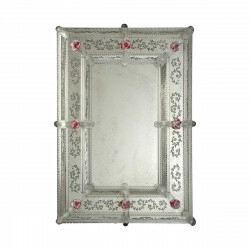 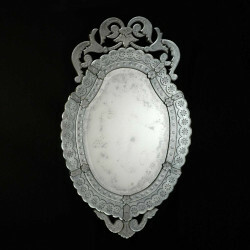 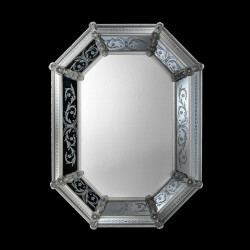 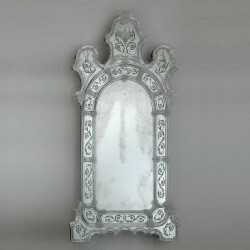 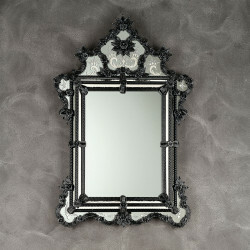 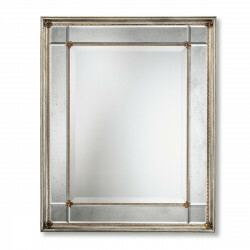 It is between modern and vintage: it is definitely a perfect piece to have around the house, now.